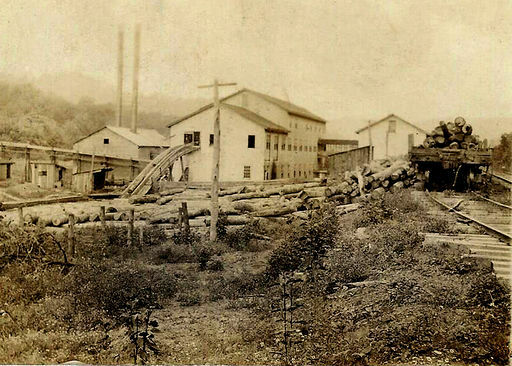 Photos scanned from “American Lumberman”, April 2, 1910, “Tennessee Hardwoods of the New River Lumber Company, mill at Norma, Tenn. pp.51-74. Document resides at the Museum of Scott County, Scott County High School, Huntsville, TN. NOTE: This report was written by students of anthropology teacher, Gary Sexton, from Scott H.S. Students names are below. As we live in a generation of machinery and technological advances in our society, many forget the once difficult tasks that our ancestors went through. As they faced cold weather with no shelter and the hardships of finding food, many have forgotten exactly where we came from. However, one advancement that was made in lumber production was right here in our own backyard. 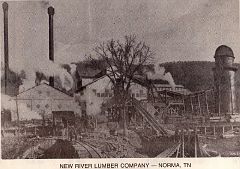 The New River Lumber Company was responsible for providing many jobs, a logging railroad, and was one of the largest distributors of lumber in the nation. These are some of the details of the company, which have been provided by The American Timberman Magazine from April 2, 1910. 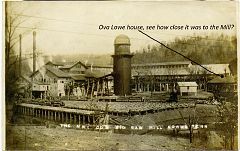 The New River Lumber Company had many mills in the Norma area, which were all very successful at one time. Each of these provided hardwood timber that was often considered "A" grade wood. Their central offices, however, were located in Cincinnati, Ohio. Many of these central offices took care of sells and purchases by and for the company. The New River Lumber Company had extraordinary and attractive types of hardwood. They were known for having some of the prettiest poplar trees that any lumber company had ever used. There is a record of poplar logs being cut that scaled to an amazing 1,300 bd feet! This is somehow unbelievable to the generation that we are living Ill.
One of the things that the lumber company faced was the diseases and conservation concerns that were new to people in the industry. Many bugs, fungi, and lack of replanting put a major setback upon the industry. Clear cutting techniques also helped in the depletion of the supplies. 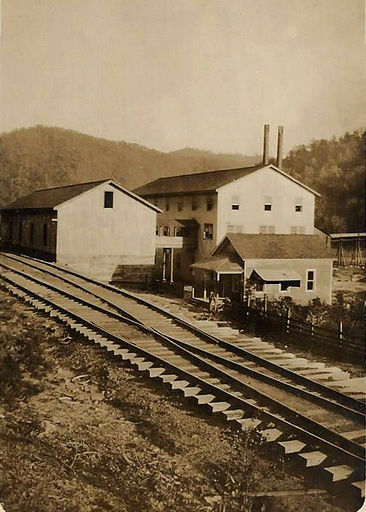 Norma Band Mill in 1915.